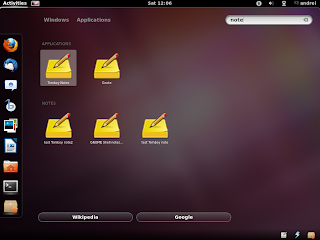 GNOME Shell Note Search provider is an extension that can be used to search for Gnote or Tomboy notes in GNOME Shell Overview. It's kind of like Unity Tomboy Lens, but for GNOME Shell. Please note that in my test, some (long) note titles are almost unreadable using most custom GNOME Shell themes because they trim the names in the Overview. This shouldn't be an issue using the default GNOME Shell theme because it allows longer names in the Overview. If you are using Gnote 0.8.0 and 0.8.1, you need to patch Gnote so that the Gnote window doesn't pop up when the extension is activated. See the GNOME Shell Note Search GitHub page for the patch. However, there's a simple work-around for this: enable the Gnote tray icon. If you use Ubuntu 11.10 with Gnote installed via the official repositories (version 0.7.5), none of these is required. Once installed, restart GNOME Shell (ALT + F2 and enter "r"), then activate the extension using GNOME Tweak Tool. 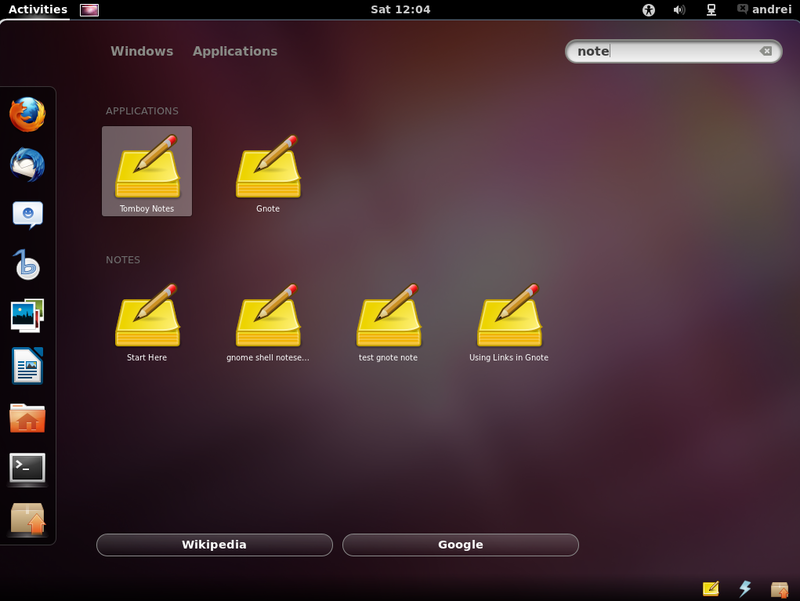 If you're not using Ubuntu, get GNOME Shell Note Search via GitHub.